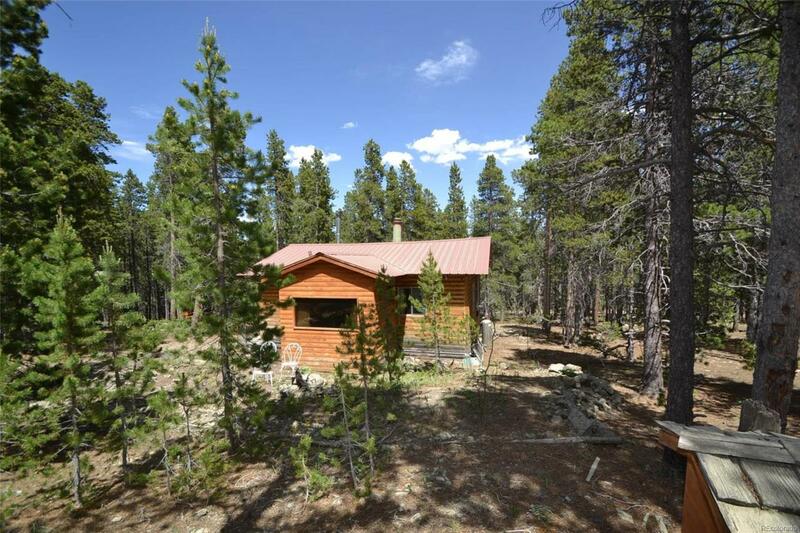 Located 1.5 miles off the scenic Peak to Peak Highway, this charming 2 bed 1 bath mountain cabin is very private and has lots of natural light, a wood burning fireplace, washer dryer hookups, and has well water and septic so it can be lived in year round or perfect for a getaway cabin. It sits on 1.95 acres and includes an adjoining 1.92 acre lot for a total of 3.87 acres of gently sloping usable land. There is plenty of room to build a garage or add on to the existing 550 square foot cabin. There is a newer 10 x 12 Tuff shed and the cabin has a metal roof. The taxes are only $591 per year and the road is county maintained. Enjoy hiking, fishing, 4-wheeling, camping, or venture to nearby casinos for great food and entertainment. You even have cell service which is a rare bonus. 20 minutes to Central City, 45 minutes to Golden, Boulder, or Evergreen and 60 minutes to Denver. Offered by Golden Real Estate, Inc..